Sitting at your computer and reading all the madness? want to do outdoors but net addiction doesn’t allow. right? Hereâ€™s a way to add a little eco friendly environment with your desktop. 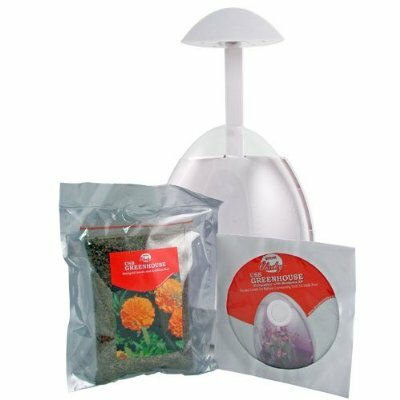 This USB mini greenhouse helps you easily grow a little garden with the help of your computer. 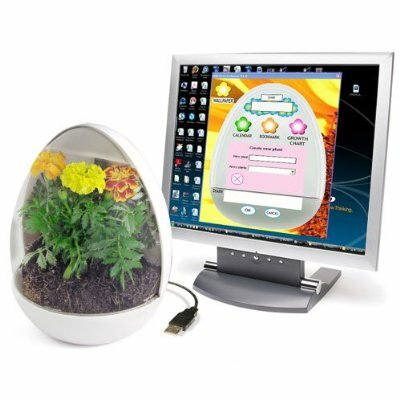 Plug it into your PC and this USB powered greenhouse helps you grow plants at your desk. Now, who needs a green thumb when you have an electronic watering reminder?